Regular readers will remember Gabriel Boudier’s Wizard competition, which ran throughout 2017 and challenged bartenders to create an original liqueur or crème. The Wizard competition grand final took place in January this year, and was won by Maria Vieira of East London Liquor Company. Maria’s prize included the opportunity to work with Gabriel Boudier in order to put her liquid into production, and this new Mustard Liqueur is the end result of that collaboration. 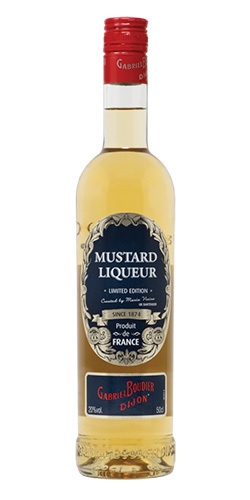 Emporia brands have very kindly set aside two bottles of Gabriel Boudier Mustard Liqueur for BarLifeUK readers. To be in with a chance of winning one, simply fill out the prize draw form below. 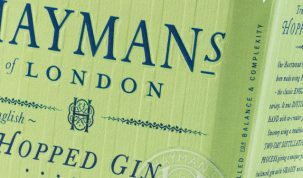 In other news, Emporia brands have also announced the addition of two new rums to their portfolio. The first being Bounty Rum from St. Lucia, which becomes available in the UK for the first time, and the second being Admiral Rodney, another St. Lucian rum which comes in a range of three aged, Coffey-still varieties. For more information on all three new products, visit the Emporia Brands website.